As the opening ceremony of the 2016 Olympics kicks off on Friday, Aug. 5, fans are still left in the dark as to who will be lighting the Olympic cauldron this evening. 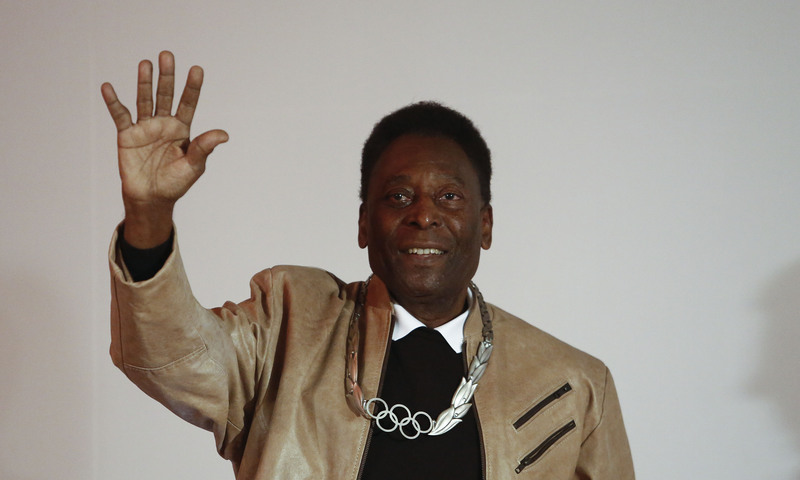 Now that it has been determined that Brazilian soccer star Pelé will not be the one to do so, as previously thought — "I'm not in physical condition to take part in the opening ceremony," he said, BBC reports — it is still yet to be announced who will partake in the honor, though we will clearly find out soon enough. Update: Marathon runner Vanderlei Cordeiro de Lima lit the Olympic cauldron. Earlier: According to the BBC, Pelé, 75, underwent hip surgery earlier this year and has been having muscle pains, and is simply not in decent enough health to light the cauldron on Friday, he revealed. "Only God is more important than my health. In my life, I've had fractures, surgeries, pain, hospital stays, victories and defeats," he said, explaining that it was his "own decision" to not participate. "And I've always respected those who admire me." His rep, Pepito Fornos, added that the three-time World Cup champion is "walking with a cane," and that "his doctor thought it best that he continues physiotherapy, that he rests and we hope that he will be able to appear at the [Olympic] closing ceremony." Previous Olympic cauldron lighters have included Muhammad Ali and Wayne Gretzky. And though there has yet to be an official announcement as to who will be lighting the cauldron in Friday night's Opening Ceremony — with just several hours to go until it is lit — it's clear that we will have an answer soon enough. Bustle has reached out to NBC for comment on the torch lighter, but has not yet heard back.